hop over - wish her well and enter yourself in the drawing! Happily Ever Crafting is having some fun candy offering right now too! Be sure to stop by and get entered into her drawing! Sparkle Cards is celebrating her topping 10,000 hits! Let's help her add some more! Go give a visit and get yourself entered too! 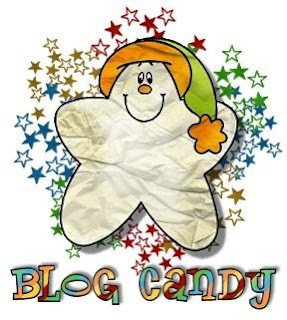 The Craft Table is offering some candy to celebrate her upcoming blogiversary! Be sure to stop over and check out her fab cards! I LOVE that cute little star! Did you create it yourself, or did you get it from somewhere? Adorable!